The LPTFA provided a $125,000 donation towards the design and construction of the BeauSoleil Louisiana Solar Home. 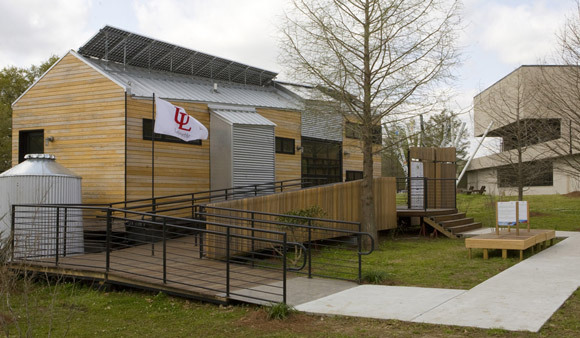 Designed and built under the direction of the UL Lafayette Building Institute, the BeauSoleil Home won first place in Market Viability and People’s Choice in the International Solar Decathlon Competition in 2009. 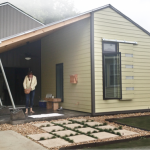 The BeauSoleil Louisiana Solar Home was designed and built by a team of students from the University of Louisiana at Lafayette. The house is a hybrid structure in every sense. With a focus on the culture and lifestyle of south Louisiana, BeauSoleil combines traditional, local design concepts with the latest innovations in energy efficiency and solar technology – the house, in fact, generates more energy than it consumes. The house was also designed to withstand hurricane-force winds. Its design reflects key elements of Louisiana’s rich culture including a state-of-the-art kitchen for cooking and entertaining. In addition to providing self-sufficient housing that is ideal for coastal regions, the BeauSoleil Home is affordable – ranging from $120,000 to $150,000. View a video about BeauSoleil Solar Home here.